Today I toured Galerija Meštrović which houses Croatian sculptor Ivan Meštrović’s masterpieces in marble, bronze, wood, and plaster. Meštrović designed and built the gallery between 1931 and 1939. It was his home, studio, and exhibition space. 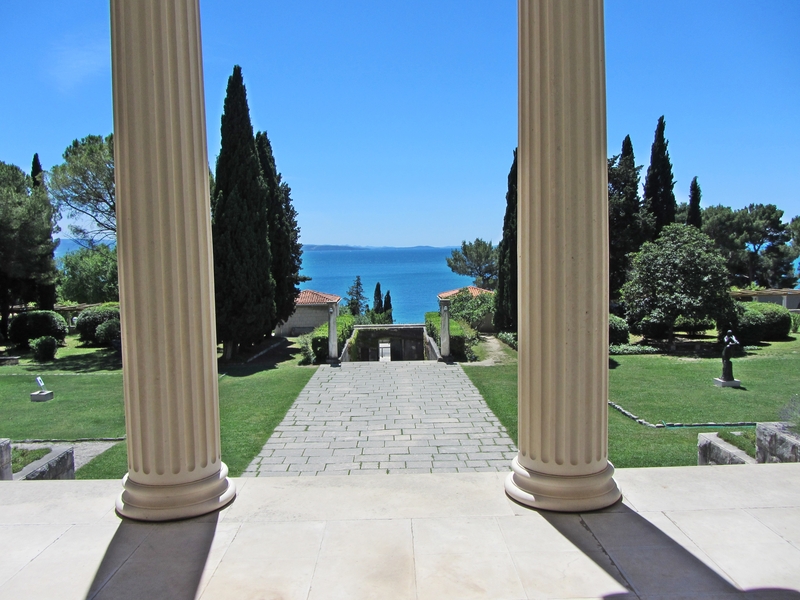 The magnificent gallery is surrounded by a Mediterranean garden with large bronze sculptures and a view of the Adriatic Sea including Central Dalmatian Islands. Observing its spectacular beauty is one of the highlights of my time in Split! 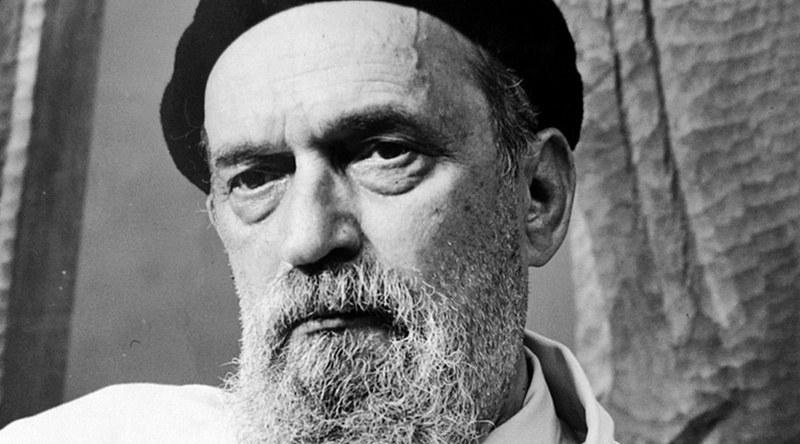 Meštrović is Croatia’s most famous artist – sculptor, painter, architect, and writer. He’s the first living artist to have a one-person show at the Metropolitan Museum of Art in New York City and known as “the greatest sculptor of religious subjects since the Renaissance”. 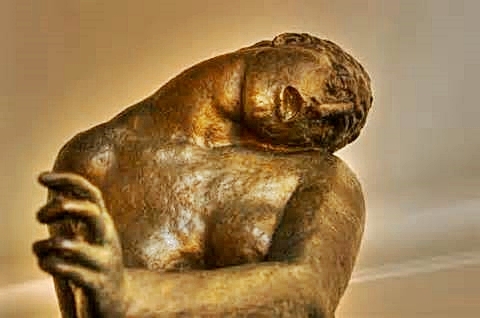 Many compare his art to Michelangelo and Rodin. In addition to the main gallery there’s a separate 16th Century Renaissance summer-house complex (chapel) which Meštrović refurbished as a place of “peace and contemplation”. The summer-house – named Holy Cross Chapel – is within walking distance of the gallery but secluded on a cliff above the sea. The complex has a cloister with stone Doric columns and a crucifix in the chapel’s sanctuary. 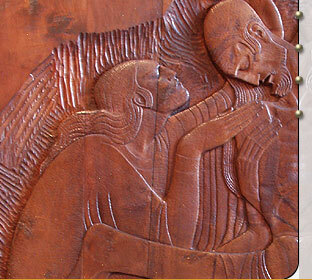 The chapel has “a cycle of 28 wooden reliefs portraying the Life of Jesus of Nazareth along the walls”. 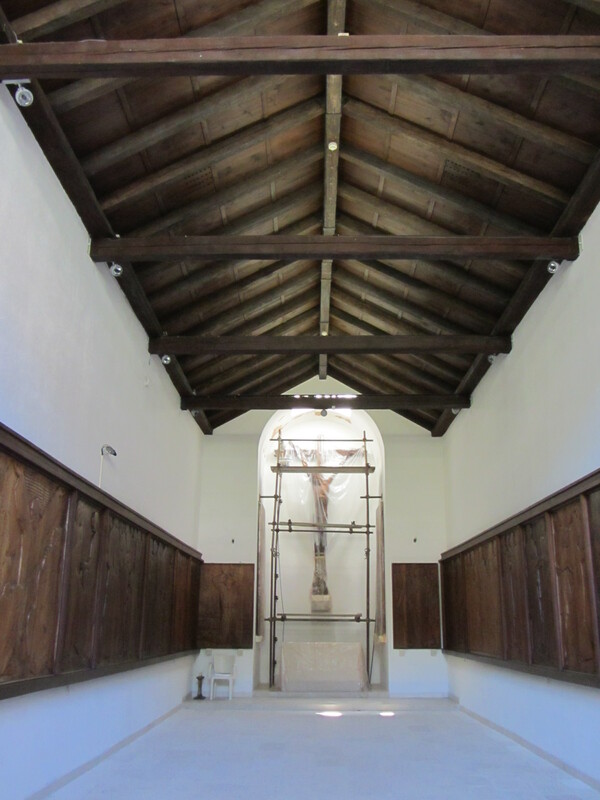 Renovation of the wooden crucifix in the sanctuary is in process. It took almost 35 years (1916 – 1950) for Meštrović to complete the cycle of wood reliefs and they remain “a masterpiece of European sacral sculpture”. The reliefs are so beautiful they almost take your breath away – the detail is amazing! It was difficult getting a good photo with my little camera. 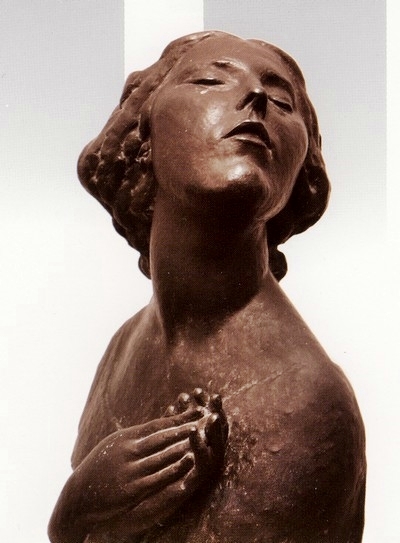 Meštrović’s works received many rewards and he accepted several commissions for public monuments. He lived and worked in European cities such as Rome, Paris, London, Cannes, Geneva, and Zagreb. In 1954, President Dwight D. Eisenhower personally presented Meštrović with his US passport. Meštrović had various US university offers for positions as professor of sculpture. Meštrović was born in the small village of Vrpolje in the Kingdom of Croatia-Slavonia. A master stone cutter from Split noticed his talent and took him as an apprentice. His artistic skills improved by studying the monumental buildings in Split. A wealthy mine owner from Vienna paid for Meštrović to move there and funded his admission to the Academy of Fine Arts – the rest is history. 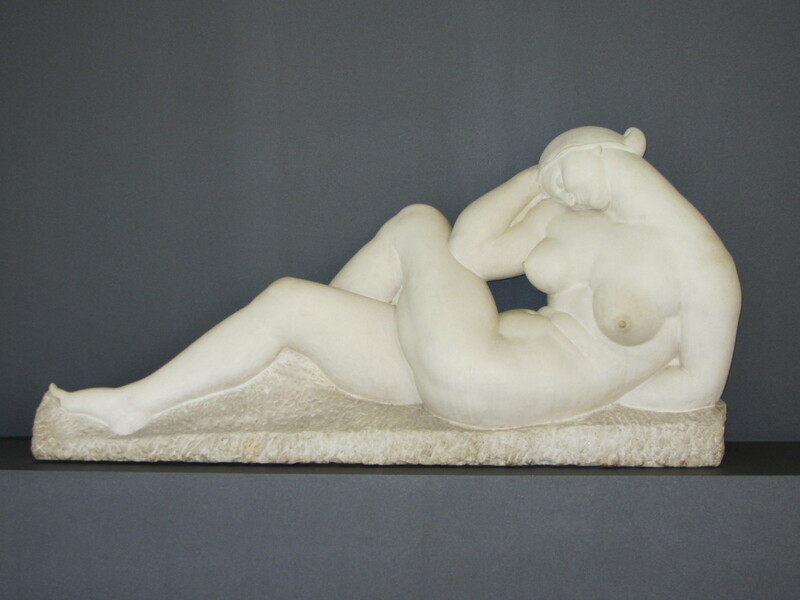 Meštrović obviously had a fondness for the human figure – especially the female form. His magnificent work is awe-inspiring. The gallery and its setting couldn’t possibly be more beautiful! Meštrović suffered personal and family tragedies during World Wars I and II. In 1946 when Syracuse University in New York offered him a professorship he moved to the US. He died in 1962 at the age of 79, in South Bend, Indiana. 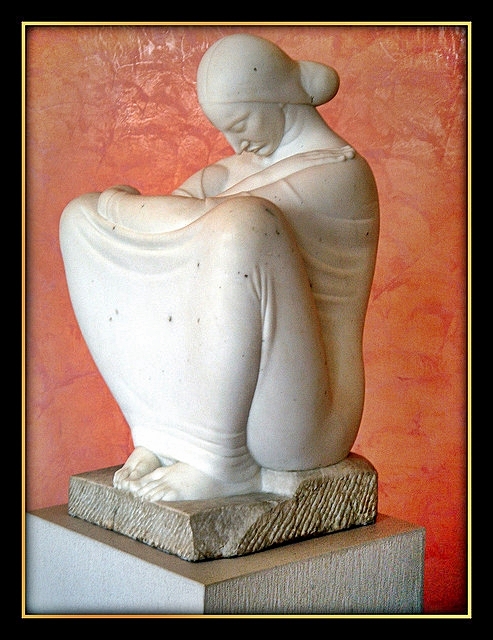 This entry was posted in Croatia and tagged Adriatic Sea, Central Dalmatian Islands, Dalamatian Islands, Galeriha Mestrovic, Holy CrossChapel Split Croatia, Ivan Mestrovic, Mestrovic, sculptors, Vrpolje Croatia by suemtravels. Bookmark the permalink.